Veterans Day is the solemn day to thank all those that served in our military both in wartime and in peacetime. 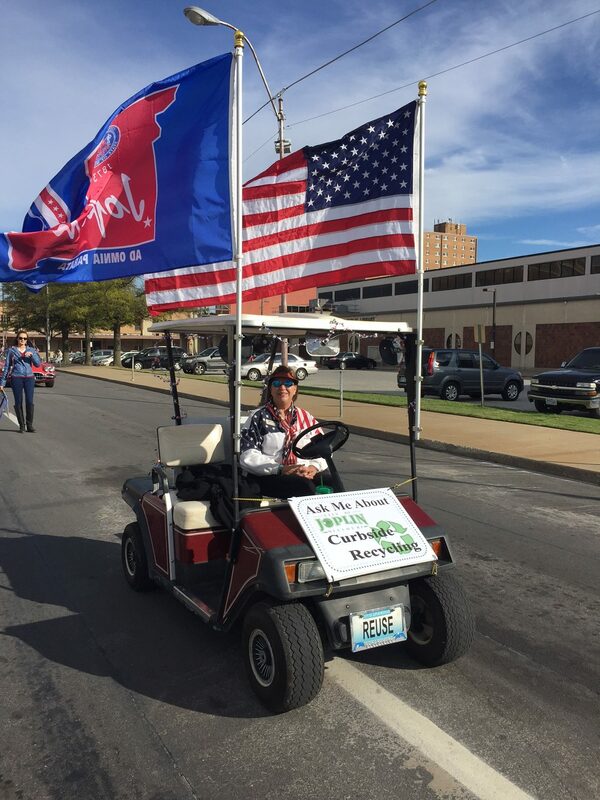 Help celebrate this event by creating and entering a float in the Veterans Day Parade; come to the parade to cheer on the participants, our veterans, and first responders; fly our nations flag or simply take the time to say “Thank You” to a Vet. They deserve it…Veterans have served; they have done their duty. At the same time as the Great War… a war that was to end all wars… a boom of activity came to Joplin in the mining and industrial fields. Though the Treaty of Versailles was signed on June 28, 1919, November 11 remained in the public imagination as the date that marked the end of the Great War. In1918, U.S. President Woodrow Wilson proclaimed the 11th of November as the first commemoration of Armistice Day. The day’s observation included parades and public gatherings, as well as a brief pause in business activities at 11 a.m. On November 11, 1921, an unidentified American soldier killed in the war was buried at Arlington National Cemetery in Washington, D.C.; the U.S. Congress had declared the day a national holiday to honor all those that participated in the war effort. On the same day, unidentified soldiers were laid to rest at Westminster Abbey in London, England and at the Arc de Triomphe in Paris, France. In Joplin, after the conclusion of World War I, the American Legion began a drive to build a grand hall as a memorial to the brave national defenders who served in all branches of the military. Nearly 2,000 people attended the dedication at the Memorial Hall ceremony on October 18, 1925. The 203rd artillery regimental band played military and sacred music and various dignitaries gave patriotic speeches expressing the community’s gratitude for the sacrifices of those who served their country. In the year 1954, Armistice Day officially became known as Veterans Day and from then on, became the holiday honoring American veterans of all wars. In 1968 the Uniforms Holiday Bill made an attempt to move Veterans Day to the fourth Monday of October. The bill took effect in 1971. However, this caused a lot of confusion as many states disagreed with that decision and continued to commemorate Veterans Day on November 11. In 1975, President Gerald R. Ford signed Public Law which stated that Veterans Day would, again, be observed on the 11th of November from 1978 onwards. Veterans Day 2016 will be celebrated on the 11th of November but the parade is on the 5th.